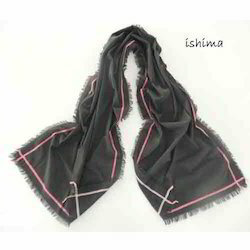 Our company has gained name and fame in presenting Ladies Trendy Scarf. 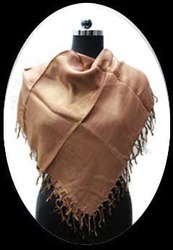 Leveraging on our enriched industry experience, we are engaged in offering a huge gamut of Designer Ladies Scarf. Manufactured using the best grade fabrics, the high performing Scarf offered by us delivers peak comfort that is widely appreciated by our global clients. Be it intricate fashionable, printed and embellished women scarves, amazing collars or beautiful tippets, at Elite you find them all under one roof. Sharco Specialises in scarve made from marino wool, silk, cashmere, model, cotton, viscose, acrylic & polyester using deferrent techniques on handloom Knitting & Weaving with special emphasis on enbroidery & Fur.